So, the way this shawl came to be is a new one for me - I had a dream about it. Crazy, right!? 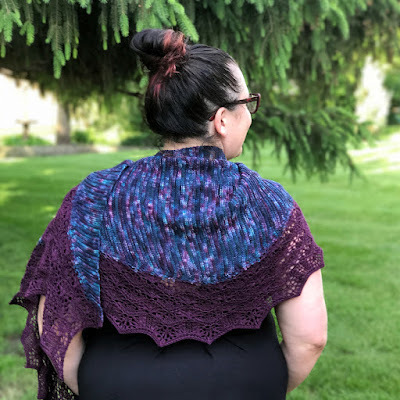 I took a nap one afternoon and had a dream that I designed a shawl with a variegated garter stitch body where I used wrap & turns to add live stitches along one side to be used lady for the solid lace border. I emailed Lindsay at The Fiber Seed to see if she would like to collaborate on the project. 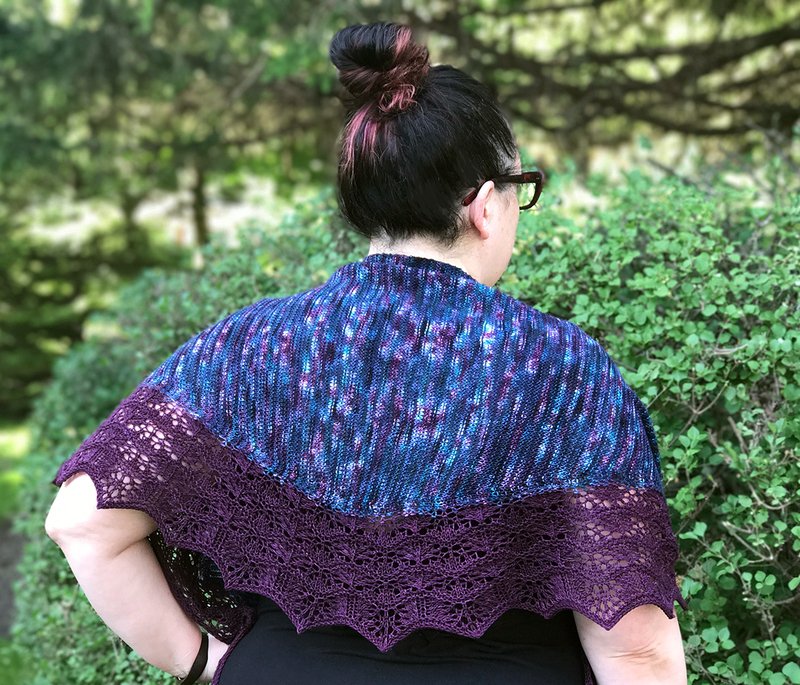 I knew her Sprout sock yarn would be the perfect yarn for this shawl. 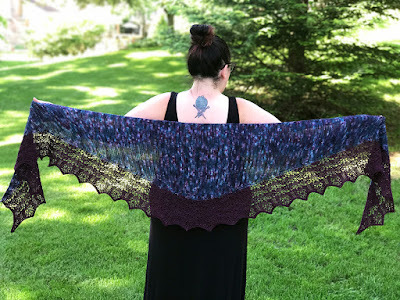 Her color sense is amazing and she does perfect variegated yarns. We messaged back and forth and landed on this beautiful color combo. It's amazing!